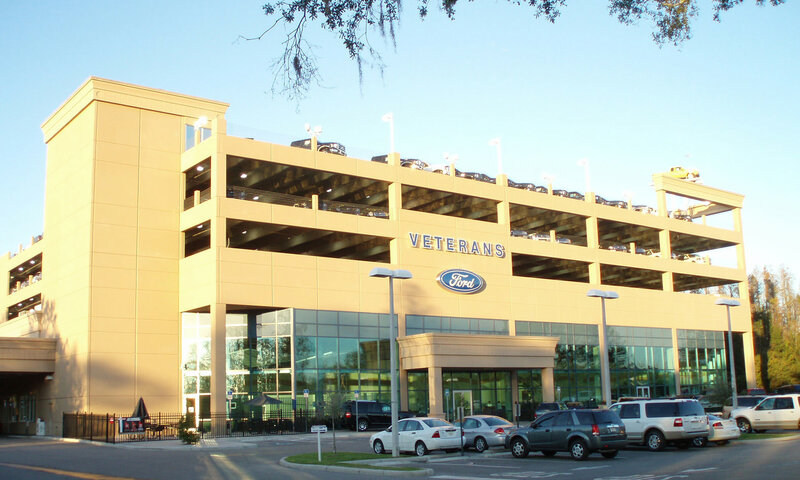 Veterans Ford is an extreme example of an increasingly common phenomenon to rising land prices which affect a buildings design and functionality. The concept is an easy one to grasp; build up instead of out. 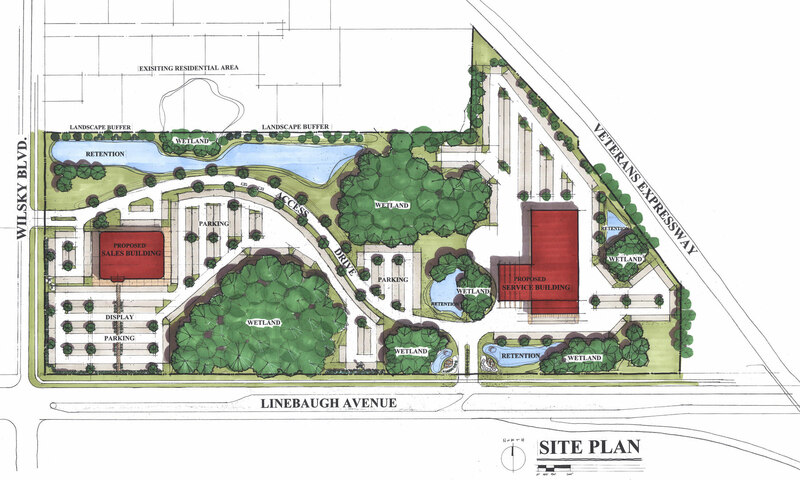 The land which was determined to be the optimal site for a new Ford dealership point in Tampa, Florida, was small and restricted by wetlands, which needed protection and preserving. Determination was made that the value of the land necessitated that a multistory dealership was the best use of the land. 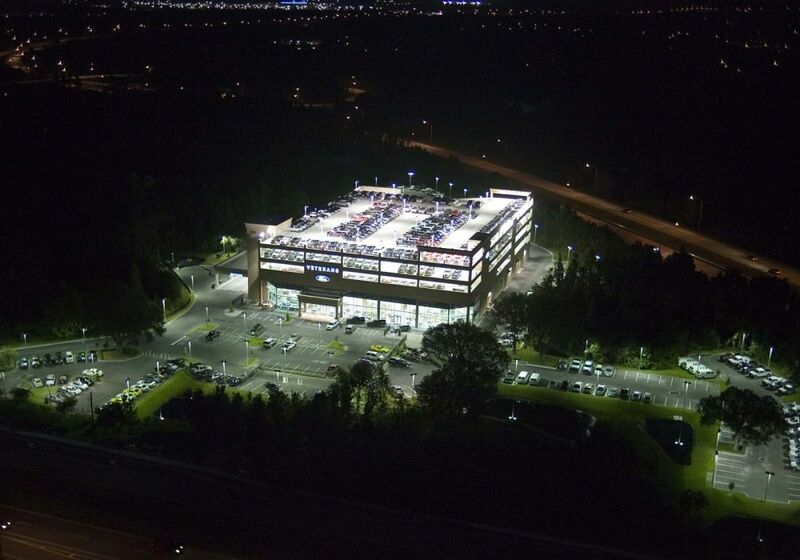 Until recently, only urban dealerships in large cities warranted that approach thereby making it a unique and challenging development. The front third of the building’s lower two floors was zoned as dealership showroom and offices while the rear two-thirds was the service department. 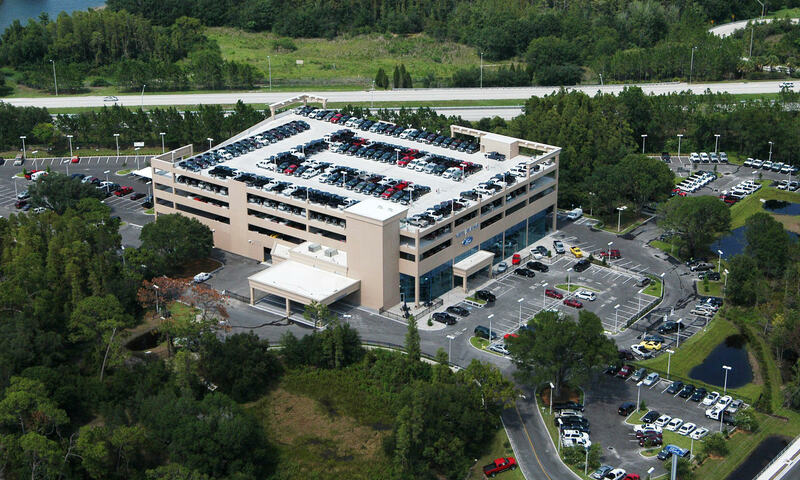 The upper four floors housed the dealer vehicle inventory parking garage, which was accessed by elevators and ramps.